Photography is an astonishing art. People who look at the world through a camera lens can quite often change the perception of those who observe the world with their own eyes. Experienced photographers are extremely gifted. If you’re among them, you understand that you look at the world quite differently. This gift also means that you need to share your talent with the rest of the world! Show the people how spectacular Life is! It is so easy in the contemporary world with the Internet at hand. For starters, you need to have an impeccable website and use it as a means to sharing your art with the public. You’ve probably already gotten quite far in your career, you are an experienced photographer after all. This gives you even more reasons to start your own website. It doesn’t matter what type of photography you are an expert in. Make the Web work for you! Use your website to let the prospective clients learn about your awesome skills. There is no doubt that a website of your own is an effective way to get money and recognition. Do not miss this wonderful chance! You don’t have enough money to pay for a professional web design company services? Not a problem! You can do everything yourself without professional help. No you’re thinking you don’t have coding skills? Do not let this trifle stay on your way to success! The excellent news is that nowadays web-designing companies offer a wide range of fabulous ready-to-use website templates you can manage not having even elementary knowledge of coding! Still, you may face an embarrassing obstacle – the abundance of choice! The number of offers on the Internet may be overwhelming. Is there any way to omit making silly mistakes from the beginning? How do you choose the template you really need among multitudes of variants? What requires more of your attention when you’re just starting out? Let us consider the most interesting solutions and and find out the aspects that are worth considering while choosing a suitable template for your future photography website. – Platforms which concentrate only on creating photography websites. So, let us start with the first group. 1. If you are looking for a professionally created website template, the solutions offered by MotoCMS are definitely worth considering. This powerful platform is famous for the high-quality and professionalism of the product they offer. Moreover, the company pays special attention to the needs of photographers. So, MotoCMS team have created more than 100 magnificent photography templates to choose from and Defrozo is one of them. The biggest positive feature of this stunning website template is a user-friendly admin panel. To help you, there is a built-in Block Editor. You won’t find this option in other website builders. It contains pre-made content blocks you can arrange according to your wish. Handy and simple drag-and-drop functionality turns the process of a website creation into a joyful game. This helpful feature comes with the Aviary Photo Editor. This awesome editing resource and a convenient file manager are integrated into the Media library of Defrozo. One of the best features is that you don’t have to pay for the website right away. Try it first during a free 14-day trial period. Another great thing about MotoCMS trial period is that all the changes you have been making to the template will be still there when you purchase it. 2. When speaking about excellent options for starting a professional photography website it is impossible not to mention such a famous name as Wix. 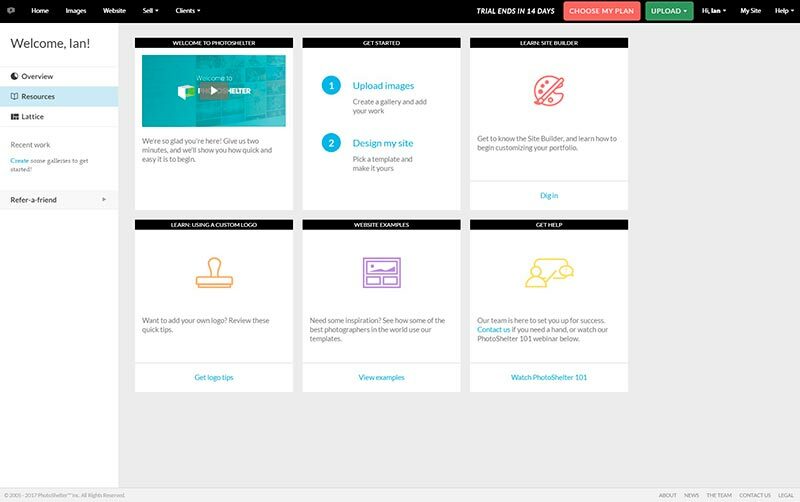 This cloud-based development platform offers a number of interesting templates containing all the necessary tools for creating your own website. The best thing about templates from this company is that creating and editing the website is absolutely free. The admin panel doesn’t contain complicated features and it is pretty easy to use it. You can use the website you create for as long as you want. So, this is a wonderful way to go for those who would like to have some practice with website building and managing not risking any money at all. But if you need some professional features (like Premium support, Marketing Vouchers) or big storage place (this is extremely important for a photographer), be ready to pay. 3. Weebly is one more well-known platform which offers wonderful website themes covering different spheres of human activities. They also have a special Photography website building section. Weebly website themes include all the necessary basics to build a functional website easily. The user interface is very intuitive to use, which is good for all levels of users. The weak point is that the choice of the templates is not very rich though the company is working hard to change the situation. 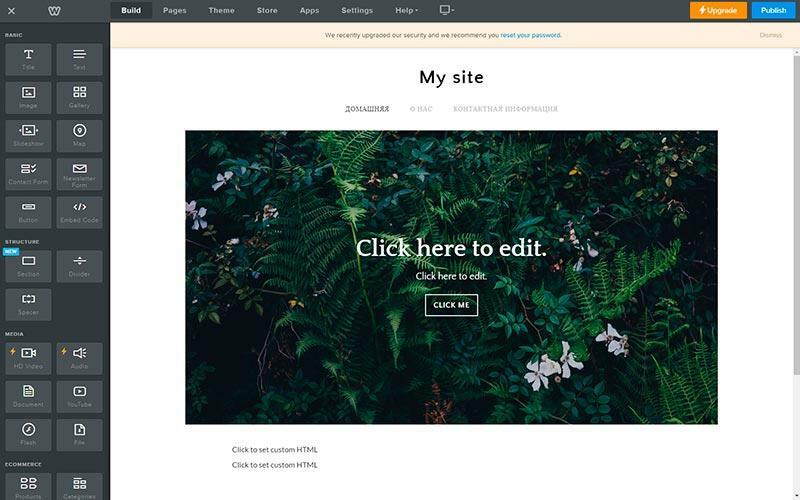 On the other hand, with Weebly you get an opportunity to change your template with a click of a button. The great thing about it is that all your content will be automatically transferred into the new template you pick. Now it is time to talk about platforms specializing in photography. 1. One of the most important names to mention here is PhotoShelter. 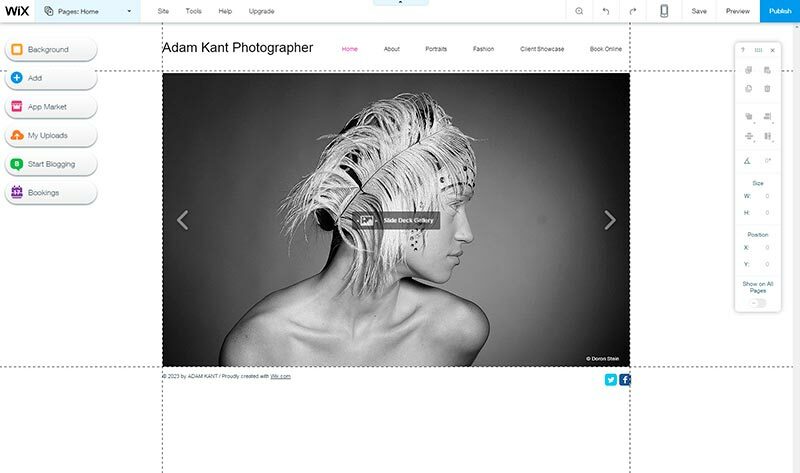 This well-known platform gives a wonderful possibility to create a beautiful professional photography website. The website editor used by the company is very simple, so it won’t take you long to understand how to operate it. It is also incredibly easy to download your images with PhotoShelter – the three options for uploading include FTP. You should also note that with PhotoShelter, you can protect your pictures. This is done by structuring the website in a way that allows you to control access to high-quality images and decide who gets to see them lower quality versions of them. PhotoShelter has introduced a new product, ‘Beam’, which adds flexibility in terms of tools and features. 2. The last but not least platform to take into consideration while choosing a way to go in photographer website design is Zenfolio. This company has created a number of great templates which you can easily customize according to your needs. This company gives you all the necessary tools for creating your very own website. 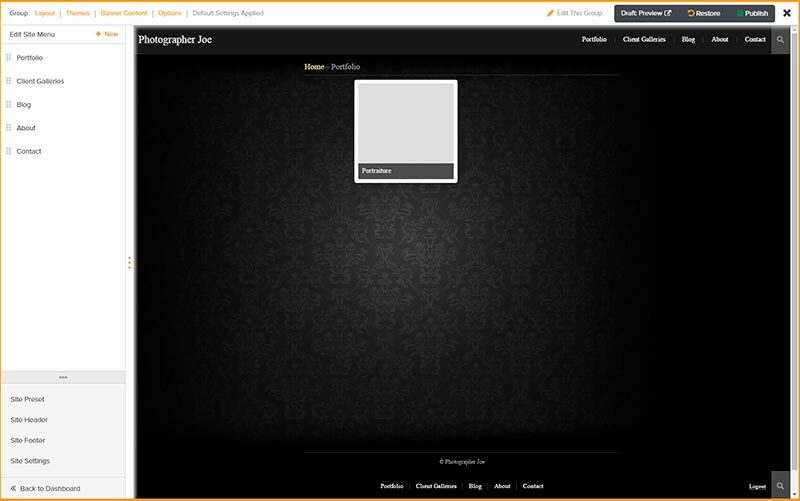 The new user interface was designed to help you make your page unique and useful as effortlessly as possible. Though, the process of customization may seem a bit complicated as a lot of stuff is thrown at you at once. Nevertheless, Zenfolio does offer good training and support resources through their Support Center, direct email, and Online chat (if you have a Premium Business Account). Moreover, Zenfolio provides its customers with unlimited storage space – it is very useful for a photographer. 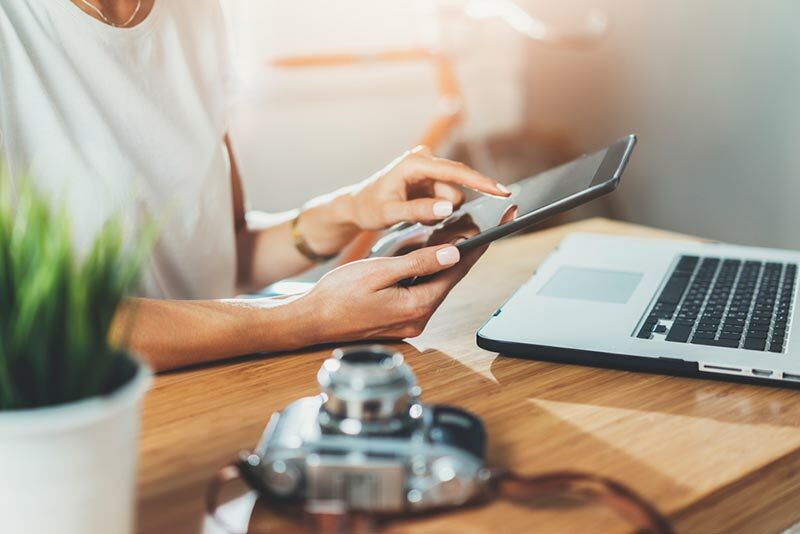 As you see, there are a lot of wonderful and easy opportunities to create an incredible photography website of your own. Do not hesitate to go online to look for the best variant for you!